Small and simple software for plotting data from serial port in realtime. See hackaday.io page for screenshots. 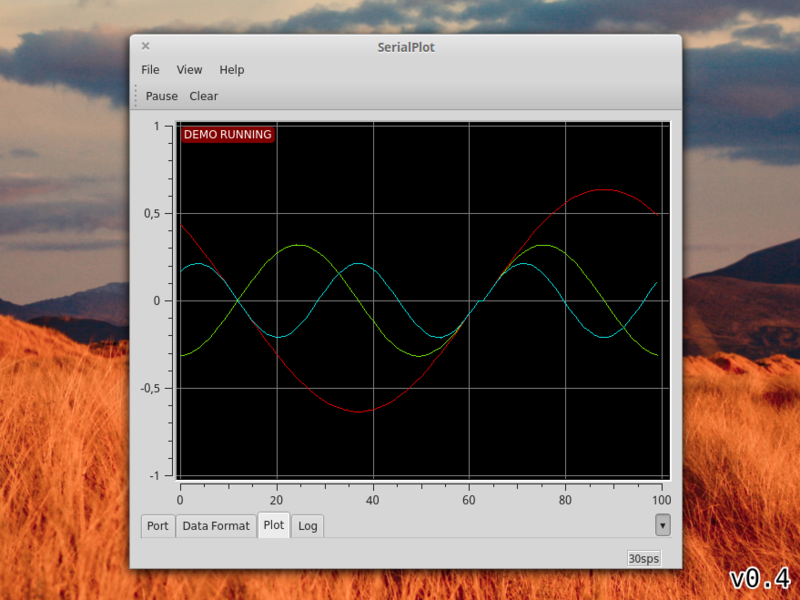 You can install SerialPlot for Ubuntu/Linux Mint (and other ubuntu based distributions) via Ubuntu PPA. Use below commands to add ppa to your system and install SerialPlot. You can obtain windows installation packages from downloads section. Qwt is the library that provides plotting widgets for SerialPlot. You have 3 different options for Qwt. Leave it to serialplot build scripts. Qwt will be downloaded over SVN and built for you. You should have svn installed for this. If your linux distribution has libqwt-qt5-dev or qwt-qt5-devel package, install it and set BUILD_QWT cmake option to false. Download Qwt 6 here and build it yourself per these instructions and install. Make sure you use Qt5 (not Qt4) to build. And set BUILD_QWT cmake option to false. You can also build with QtCreator IDE using serialplot.pro file. On Ubuntu 16.04 / Linux Mint 18, removing USB serial device while it is open in SerialPlot, causes application to go into a nasty loop and eventually it crashes. This is a bug of Qt 5.5. I have uploaded a patched version of the problematic libqt5serialport5 package to launchpad ppa. If you install SerialPlot from there, you shouldn't have any problems. Port error 13 happens when closing. This is a Qt issue. It's known to not happen with Qt 5.4.1 . Not fatal. This software is licensed under GPLv3. See file COPYING for details.